Heat oven to 350°F. In large bowl, stir Cookie ingredients until soft dough forms. With floured hands, shape dough into 1-inch balls. Place 1 inch apart on ungreased cookie sheets. Bake 10 to 14 minutes or until edges are light golden brown. Cool 3 minutes; remove from cookie sheets to cooling racks. Cool completely, about 20 minutes. In small bowl, beat powdered sugar and lemon juice until glaze is smooth and can be easily spread. 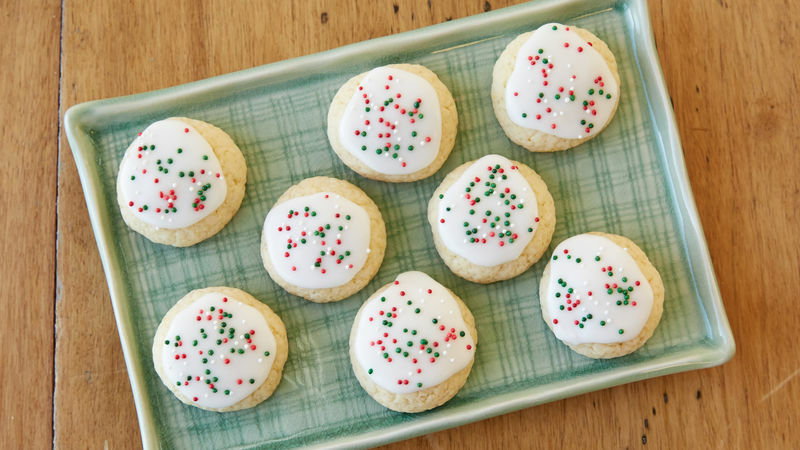 Spread glaze over cookies; immediately top with candy sprinkles. Store tightly covered at room temperature. For even baking, make sure the cookies are the same size and shape.